Halloween is upon us once again and the onslaught of parties will be in full swing tonight, but a few have decided to get an early start with the festivities. 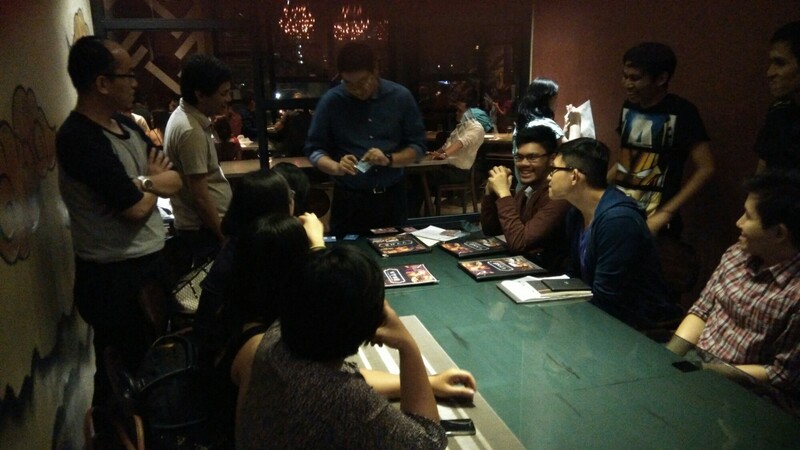 Mystery Mania Night was held at the swanky restaurant, Vyne, at the W Global Plaza at Bonifacio Global City last night. 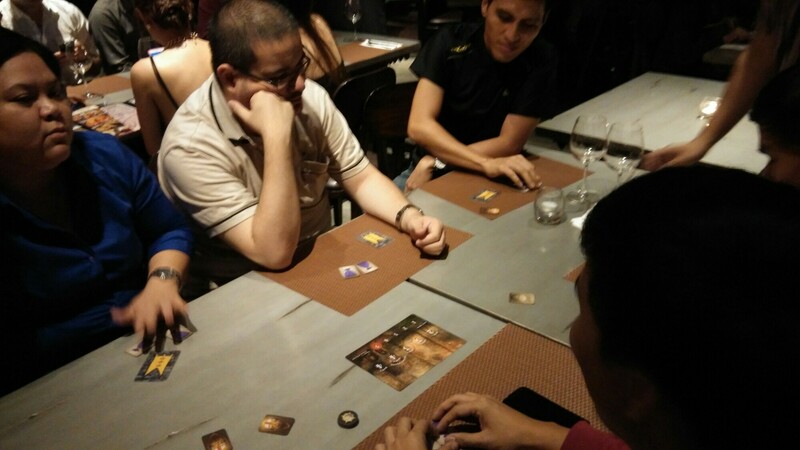 Board game enthusiasts packed the tables for some of the best-selling games available on Gaming Library. Games like: Mascarade, Avalon, Coup, Love Letter, One Night Ultimate Werewolf, and Betrayal at the House on the Hill were served on the Board Game Menu with the main highlight being one of the highly anticipated games on Kickstarter and major crowd drawer at GenCon, Two Rooms and a Boom. Two Rooms and a Boom is a game for 6 to 30 players (that’s right, 30 players) where two teams are tasked to either protect the President or ensure that their Bomber is in the same room as the opposing team’s VIP. Players are randomly sent into two different rooms, each of which has a designated negotiator. The negotiator is tasked with sending players to the opposing room after a designated amount of time of intelligence gathering with the hopes that at the end of 3 rounds, their VIP has been or protected or their bomber has successfully completed his mission. It’s the perfect party game to break the ice and it only plays for a quick 15 minutes. 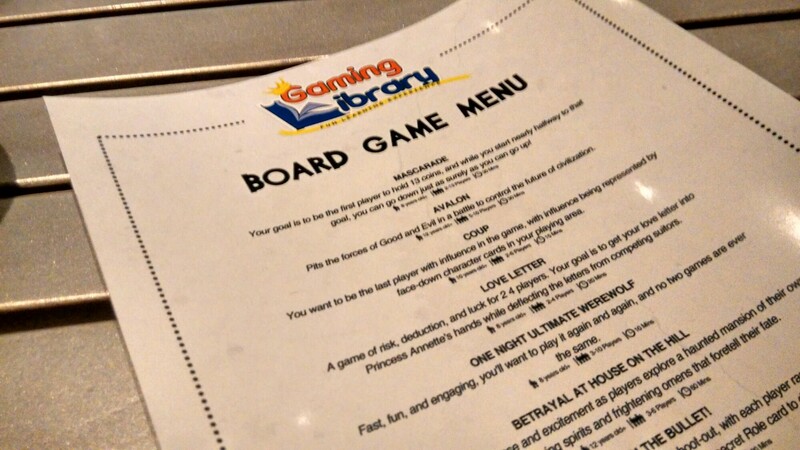 Mystery Mania Night is one of the many events held by Gaming Library. For more information on other gaming events, check out Gaming Library’s Facebook Page. Previous articleLooking at Marvel’s HUGE “Phase Three” Line-Up for the Marvel Cinematic Universe! Next articleHappy Halloween! 5 Survival Horror Games that should be played!